(Punta Gorda, FL.) -- Mental Health is becoming a top priority in Charlotte County. 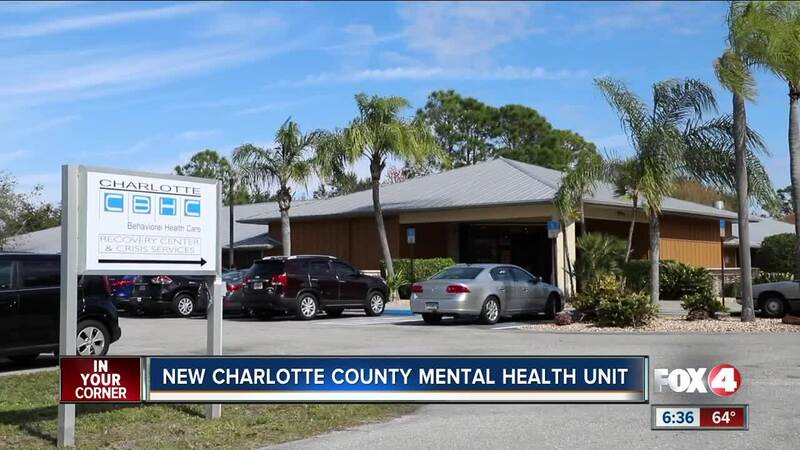 The Charlotte County Sheriff’s Department launched their new grant-funded mental health unit to help lead people who are in crisis to local services. The CCSO says deputies respond to calls that can often be linked to mental health. They have a therapist from the Charlotte County Behavioral Healthcare who reviews call logs from the previous day, and that therapist will follow up with the individuals who could benefit from their services. "The first goal of this partnership would be to intervene early to avoid arrest and to promote engagement and treatment instead because that’s going to be more effective for these individuals,” said CBHC CEO, Victoria Scanlan. Scanlan tells Fox 4 that a majority of the calls that are tagged are related to depression. She said depression can lead to doing some non-violent crimes, but it can also lead to suicide. The CBHC said in 2017, the suicide rate in Florida was at 14.1%. In Charlotte County, it was almost 16%. "With somebody who’s depressed and isolating they could potentially be at risk and they’re not necessarily going to seek out treatment and this is the benefit of the therapist going to them,” Scanlan said. Charlotte County Sheriff Public Information Officer, Katie Heck says this is a good way to solve a problem, and ultimately lead to a better life. "Simply making an arrest does not solve the root of the problem, that creates the continuous calls for service,” said Heck. If you or someone you know is in crisis, you can contact Charlotte Behavioral Center’s 24-hour Crisis Line at 941-575-0222. The Charlotte County Sheriff’s Office Non-Emergency Line is 941-639-0013. In an emergency, always dial 911.